Chalk this one up to “when the hell did I buy this” album. 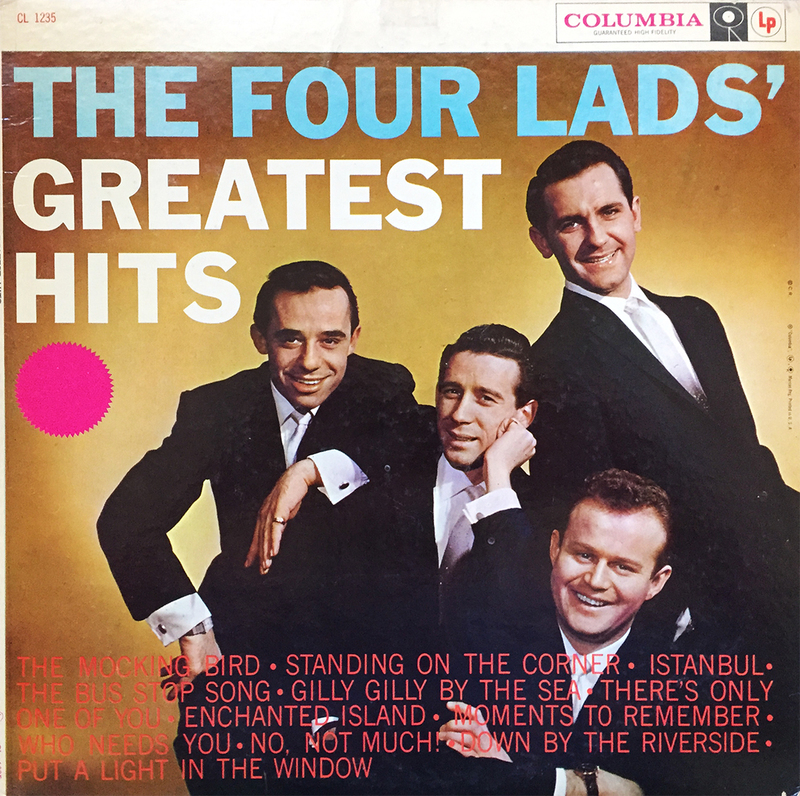 1958’s compilation of The Four Lads’ Greatest Hits is a Columbia Records release (CL 1235) and features this Canadian crew’s biggest, million-selling singles. From Moments to Remember, to Istanbul, The Four Lads’ Greatest Hits covers all the famous pop-tune bases, in one neatly packaged, 12-track record. The Four Lads were prominent mainly from the 50s through to the 70s, but are still active today, some 65 years after their initial inception (they played in Palm Springs back in late March). If you’re looking for the best of the best from this easy listening vocal troupe, look no further than The Four Lads’ Greatest Hits.